My Little LadyBug (LL) became officially a "Preschooler" this September (2015) but honestly I did not have the traditional feelings that most Mothers have when their child goes off to Preschool. I read lots of sweet blog posts about how fellow bloggers were in tears as their children started Preschool or were off to First (Primary) School this Autumn. They wrote about the changes happening in their daily routine and how much they missed their son or daughter. I could understand but not relate because my daughter's may have now been officially a Preschooler but actually our lives had change very little. My daughter has attended the same Day Nursery since she was 13 months old when I went back to work after maternity leave. She started in the Baby Room (aka Caterpillars) and transitioned to an age-appropriate room around the time of her birthday for the last couple years. The beginning of 2015 when she turned 3 years old, she moved upstairs to the "Butterfly/Preschool Room". 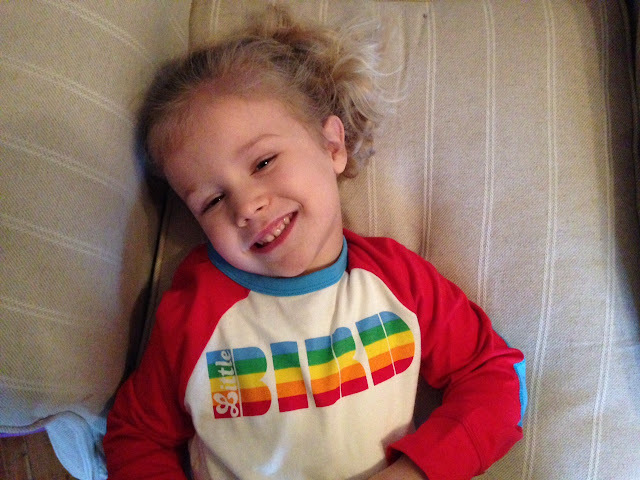 She was the youngest at that time but others from the "Bumblebee" room joined her this last 10 months. As I became a "stay-at-home" on maternity leave and then working from home, my daughter continued to attend the same Day Nursery. So when other 3 years old were heading off to new schools and starting new routines, my daughter's weekly schedule did not change. Although today as my daughter headed off to Preschool, I was rather emotional. I was worried about LL but also really proud. She was heading back to Preschool without a nappy (diaper). 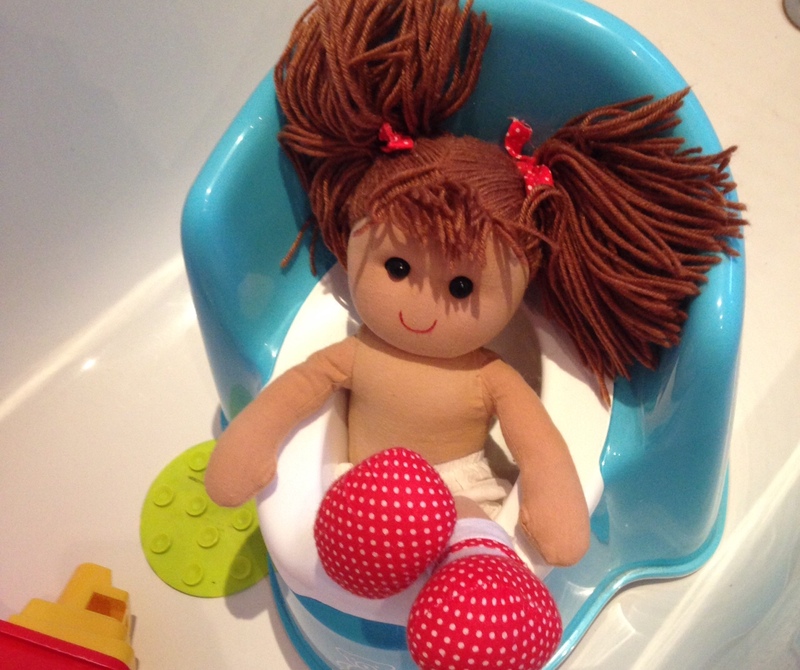 This last week was my daughter's half-term break from Preschool and a perfect time to finalise potty training. I have never had any concerns regarding her development or if she was reaching certain milestones compared to her peers but it was time to conquer potty training. LL has expressed interested in wearing underwear at times in the last year or so but really preferred wearing nappies. As parents, we did not push it or make a big deal about it but she was becoming one of the last of her classmates and friends to make the transition from nappies to underwear. Since I would be spending extra time with LL at home last week during half-term, it seems like perfect time to commit to potty training. No more nappies would be purchased and extra clothes with underwear were ready. We explained to LL that were going to practise wearing underwear during the day because she was no longer allowed to wear nappies at Preschool after the half-term break. She has done brilliantly. Of course there has been a few leaks but has done a great job. As she left for Preschool this morning, she was very excited to share with her Preschool teachers that she was wearing underwear. I worried that she would have an accident and did not want her to feel embarrassed but she was happy and ready. It felt like a big step towards LL heading off to school full-time in the future. I thought about her all morning and hoped that she was doing okay. When she arrived home with Daddy from Preschool, she bounced into the house and was very happy to share that she used the potty and had "no leaks". Big hugs all around! As we starting looking at schools this month for her to start attending 5 days of week in September 2016, I am trying not to think about how much I will miss Little LadyBug.